Can I have another mystery box? @jpastor Do I need to open another box or do I still just make a thing with flash? 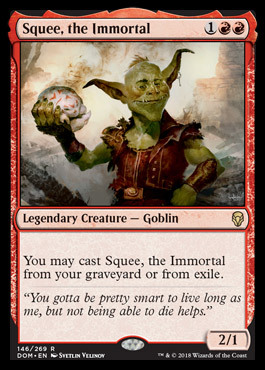 Mystery Challenge 2: Create a Surrakar creature card. @jpastor - 3rd Mystery Box for me, please. 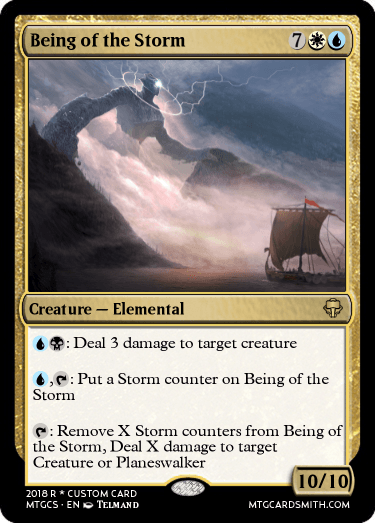 - A Mystery Challenge: Create a card with some kind of storm in the artwork. 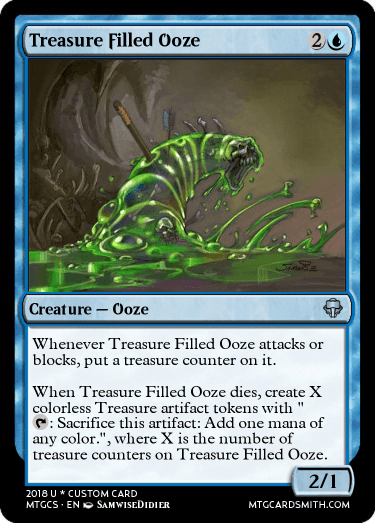 - A Mystery Challenge: Create an Ooze creature card. - Favorites: 4 favorites of my choice. - A Mystery Challenge: Create a blue sorcery card. - Favorites: 3 of my choice + two of your choice. - A Mystery Challenge: Create a rare, nonlegendary Angel creature card. - A Mystery Challenge: Create a green Cat creature card that fits into a specific set. Mention the set with your post. 11: Extra Entry: You may submit 2 cards for the challenge. 14: Two choices: You choose between two mystery challenge options. - A Mystery Challenge: Create a card with a prowl cost. @jpastor - Can I get a mystery box? 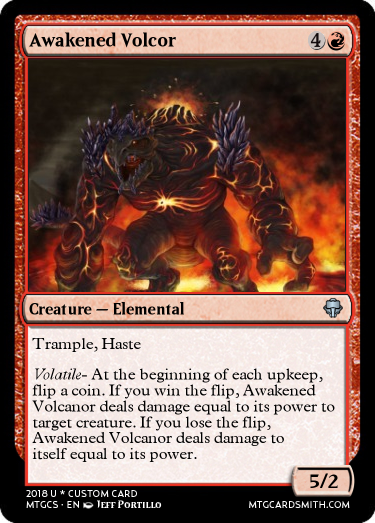 Create a card that has a custom ability from the mechanix encyclopedia. This was a tough one for me, but it's finally in. 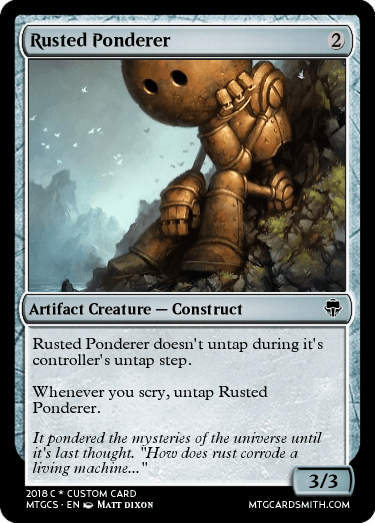 - A Mystery Challenge: Create a card with a robot in the artwork. 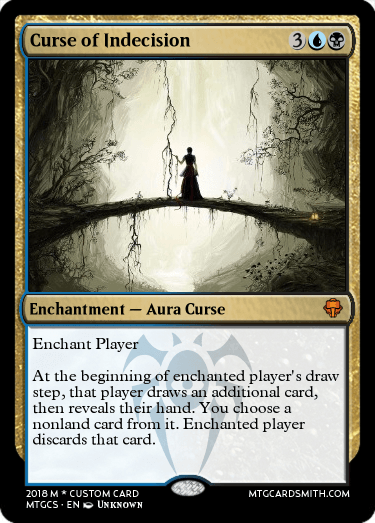 - A Mystery Challenge: Create a card that uses two custom mechanics from the mechanics encyclopedia. - An Ancient Gem: This gives you the option to submit any old card you want for this box's mystery challenge instead of a new card. - A Mystery Challenge: Create a creature with three subtypes. - Scrying Goggles: These allow you to see which card is currently in 1st place as well as the projected deadline's end. Both will be sent in a message and with updates any time either changes. 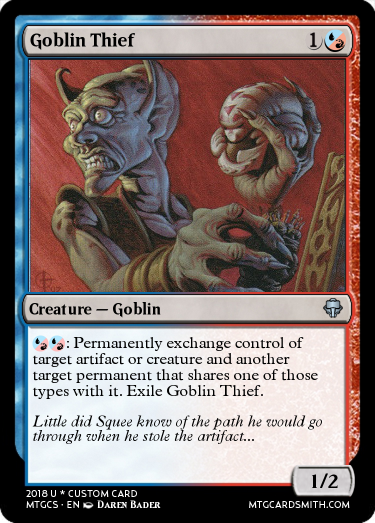 - A Mystery Challenge: Choose a real magic card that's a legendary creature card. Create a nonlegendary version of that creature. Your creature must be of lesser rarity than the original. Post both cards side by side. @jpastor Could I have another box please? Challenge was "Create a black card that allows you to look at an opponent's hand, choose a card from it, and make them discard that card. This should not be the only thing the card does." I really hope I did this right. Create an Ooze creature card. Could I have another box please? Can I please have a box?